Reflecting upon the many accomplishments of the ICAN Biomarkers Council, we couldn’t have achieved this without the support of each and every member. We thank you for your continued world class, cutting edge scientific advice on behalf of our many cancer patients, especially considering the many challenges that come to us from all over the world, from all directions, at all times. It is our hope that in each coming year, we will realize advances on the therapeutic, diagnostic, regulatory, and research fronts that will further our mission to extend survival and quality of life for all cancer patients. The Biomarkers Council has routinely supported of ICAN's efforts with individual patient cases, interpreting molecular profiling results and researching and providing answers to specific questions and projects related to proposed patient biomarker strategies. The Biomarkers Council assisted with many challenging patient cases, including among others, cancers of unknown primary, and an exceedingly rare case of metastatic Merkel Cell carcinoma. Upon request, the Biomarkers Council made use of its deep academic/industry network, vigorously contacting leading scientists, clinicians, and decision makers for the purpose of accessing cutting-edge clinical, diagnostic, and therapeutic options on behalf of ICAN's patients. ICAN Inclusion in Stand Up To Cancer Dream Team- Colon Cancer. The Biomarkers Council initiated discussions that ultimately led to ICAN's inclusion as Patient Advocate in an international Dream Team of top research scientists with the goal of improving early detection of colorectal cancer. The project, entitled SU2C-KWF Molecular Early Detection of Colorectal Cancer (MEDOCC), will be funded by a Sta Op Tegen Kanker ("Stand Up To Cancer" in Dutch) Dream Team Translational Cancer Research Grant for 6 million euros (approximately $7.6 million USD) over four years. Marcia Horn, President/CEO, will represent ICAN on this project. Important for Biomarker Council Members - Should you become aware of any corporate, agency, or academic funding mechanisms that are applicable to ICAN, or if you can put us in contact with internal patient advocacy liaison directors, we would greatly appreciate if you would reach out to Scott Kahn, scottmkahn@askican.org. As a model organization for how cancer patient advocacy and world class scientific knowledge merge to provide unsurpassed personalized support for individual cancer patients, ICAN actively seeks to oversee and be included in projects that will accelerate personalized medicine, benefit cancer patients, and improve their care. ICAN Participation at Conferences and Symposia. 4-14- BIO Fly-In: Covered the ACA, physician reimbursement, PDUFA and regulatory issues, biosimilar legislation, molecular profiling, and face to face discussions with members of Congress and senior staff members. Eric Thompson, Biomarker Council member, provided ICAN’s perspective about FDA clinical trial regulations for their high-level pharmaceutical executive suite subscribers for Elsevier’s Pink Sheet, the "go-to" newsletter for the biotech and pharmaceutical industries. Scott M Kahn. Next-generation sequencing for cancer drug development: the present and visions for the future. Personalized Medicine, Vol. 11, No. 2, Pages 139-142. The ICAN Biomarkers Council provides world class expertise, vision, and support in the fields of molecular profiling and cancer. 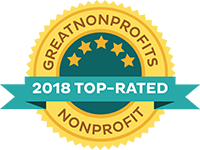 It also serves as an illustrious scientific resource—from presenting at major scientific conferences to providing testimony on topics affecting ICAN's Patient Services to advocating on behalf of cancer patients with elected officials and regulatory agencies. Led by Scott M. Kahn, Ph.D., an oncology and biomarkers expert from Columbia University and Oncostem Biotherapeutics, the ICAN Biomarkers Council is comprised of global key opinion leaders and gifted and accomplished scientists from top, cutting edge industry and academic programs. Members provide ICAN with deep expertise in many aspects of biomarker theory and technology as well as state of the art applications to individual cancer cases and therapeutic regimens. Kamala K. Maddali, DVM, Ph.D.
Members of the Biomarkers Council members are actively assisting with the development of ICAN's Remission Coach® programs. Biomarker Council member Ajay Malik, PhD oversees social media platforms with which ICAN is actively engaged. This includes an active presence in cyberspace on linkedin.com especially. The Biomarkers Council represents ICAN on public policy issues including, but not limited to, access to oral chemotherapy drugs and biosimilars, personalized medicine and molecular diagnostic testing costs and reimbursements. On issues of mutual interest, members represent ICAN in a variety of capacities with outside entities. The Biomarkers Council proposes and implements biomarkers-related research projects for ICAN. Council members may identify potential grantors, engage in prospect research, and coordinate and assist in writing funding proposals. In 2014, the ICAN Biomarkers Council continued to lead efforts to pave the way for the adoption of whole genome sequencing (WGS) and RNA transcript sequencing (RNAseq) as a reimbursable diagnostic tool for late stage cancer patients. Looking forward, WGS/RNAseq promises to better identify clinically actionable mutations in cancers, and to provide a less costly alternative to multiple molecular profiling tests. We spoke with key opinion leaders in industry, academia, and government to assess hurdles that stand in the way of implementation, and how they might be overcome. Led by Scott M. Kahn, Ph.D., from Columbia University, ICAN has made concerted efforts to recruit an outstanding global group of key opinion leaders and gifted and accomplished scientists from both industry and academia. The ICAN Biomarkers Council provides world class expertise, vision, and support in the fields of biomarkers and cancer. It also serves as an illustrious scientific resource—from presenting at major scientific conferences to providing testimony on topics affecting ICAN's Patient Services. ICAN's Biomarkers Council is comprised of leaders in industry and academia. Council members provide ICAN with deep expertise in biomarker theory and technology as well as their applications to cancer. Council members are called upon, when appropriate, to assist ICAN's staff on specific questions and projects related to proposed patient biomarker strategies, interpreting biomarker results, and supporting the ICAN's International Physicians Council which emphasizes optimized clinical therapeutic strategies for patients. 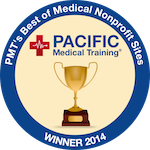 Biomarkers Council members also assist with the development of ICAN's Remission Coach® programs. Council members may be called upon to represent ICAN at major conferences or symposia or to make presentations on behalf of ICAN. Council members may contribute to conversations regarding biomarkers topics in the social media platforms with which ICAN is actively engaged. The Biomarkers Council represents ICAN on public policy issues including, but not limited to, drugs and biomarkers, costs and reimbursements. On issues of mutual interest, members represent ICAN in a variety of capacities with outside entities. 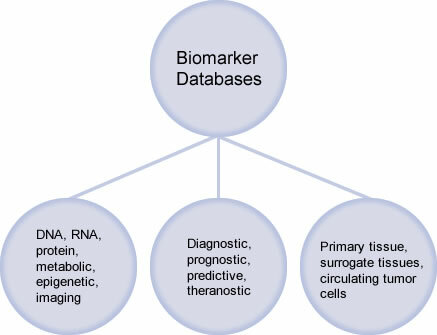 Additionally, the Biomarkers Council maintains a database of biomarker companies that provide diagnostic/prognostic/predictive assays for patients. The Biomarkers Council proposes and implements biomarkers-related research projects for ICAN. Council members may identify potential grantors, engage in prospect research, and coordinate and assist in writing funding proposals. Where appropriate, Council members may offer to assist ICAN in obtaining professional memberships, attendance at symposia, subscriptions, and conferences to ease the financial burden on ICAN and to augment ICAN's Personalized Medicine Cancer Care Programs by enhancing the organization's information resources and professional outreach.